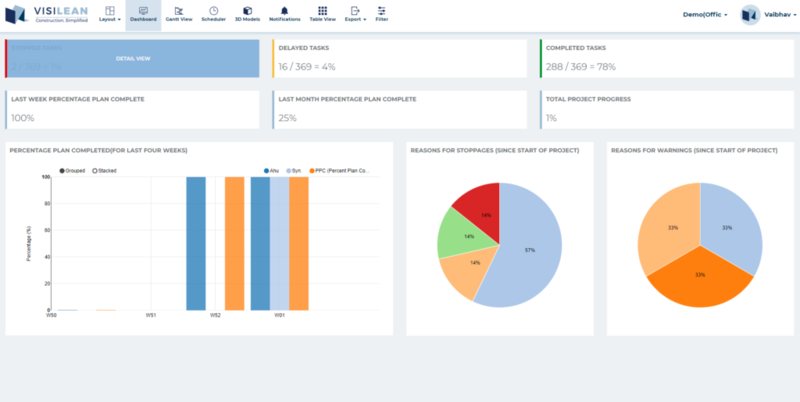 Visilean’s dashboard view is one of a kind solution for tracking, monitoring and reviewing your projects from a single platform, whether just down the lane or across the world. 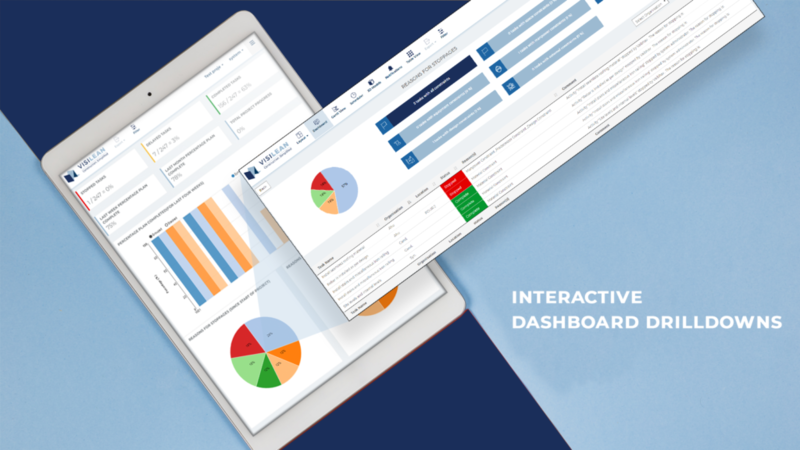 Our interactive dashboard allows construction companies to stay on top of their projects. The one and only view that’s an answer to getting real time visibility and status of your multiple jobsites. 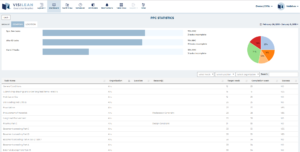 Our unique view allows you to quickly author and analyse data. It provides a complete health check for your projects and gives you an overview of stopped, delayed, completed tasks, total project progress and also the last four weeks PPC. A collection of several views, letting you compare and analyse a variety of data simultaneously rather than navigating to separate worksheets and reports. The various automated reports offered by VisiLean and our dashboard view are connected, any updation to the project will automatically reflect in the dashboard and so in the report. The processes mentioned above are all automated within the Visilean’s ecosystem. We recognise that each user may want to further inspect and know things in a detailed manner to identify the root causes. Given the popularity of the dashboard, we have enhanced it further to improve functionality. The dashboard view is now more interactive as you can analyse the project status one step further. To know things in a comprehensive manner it allows detailed drill downs for parameters like stoppages, delays, PPC and much more as shown in Figure 1, Figure 2, Figure 3, Figure 4, Figure 5, Figure 6 and Figure 7. Let’s you review in depth the actual root causes for the problems and also you can track the improvements. Our dashboard updates with the latest available data from the data source. It provides a lens for taking informed decisions before things are out of control. It’s a proactive approach rather than a reactive. With us track, monitor and review projects at a glance!